Before you begin the planning process, you’ll want to set a budget and have help sticking to it. This can be the most stressful part of all the fun, so it’s imperative that you start out on the same page and with a clear vision in mind. Thankfully, there are plenty of tools available to help set your budget and keep you on track. Today, we’re showcased five of our favorites that help manage all the ins and outs of the entire process making the anxiety less and not nixing the quality of what you want in a day of celebration. Let’s take a peek, shall we? The Knot’s venue finder will help you sift through venues in the location of your choice and sort based on the price point! You have to start your planning out with where the event is actually going to take place and this tool will help you begin with a bang! You’ll have the option to filter the distance, price range, guest capacity, settings (ie: barn, castle, city hall, etc), and amenities (ie: handicap capabilities, wi-fi, etc). It’ll even tell you if they’re a “Hall Of Fame” venue or on the “Best Of” list for the current year. The tagline for this spectacular tool is “turn your wedding budget into a spending plan that works for you”. And that’s exactly what it does because it will do all the excess “math” for you and figure out exactly what you need to spend where. Basically, you’ll put in your budget and this free tool will feed you a complete breakdown of which piles of cash need to go to which of your vendors. How do they figure it out? They use averages from wedding costs to help you get the job done. 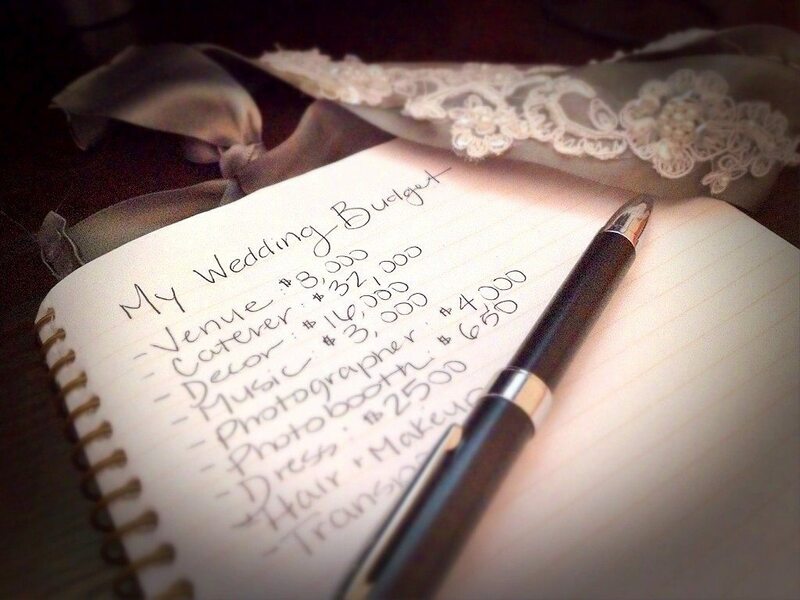 You may want to go and download Brideside’s free wedding budget spreadsheet, because that what they’ve created it for! They want brides to utilize their breakdown and make planning so much easier than if they had no guidelines to follow. It’s available in both Google Docs and Excel depending on your preference. You can print it out and handwrite in the details or utilize it right on your phone to keep track of all the details. Not only will Mint help keep your spending in check for the wedding, it’ll help you in life and that’s why we love it so much. It’s a free money-management website that you can utilize while you’re a bride (and then for every day after too). Link up your cards and bank accounts while you watch where the money is going to all nooks and crannies for the event. You’ll even get email summaries on the spending and text reminders when you have any payments that need to be made. Martha Stewart will help you out too and give you a nice breakdown so you can make your own decisions on where to spend your budget. Sift through the slides and take notes on her advised breakdown. Set your budget and then categorize the bulks. For example, if your budget is at $20,000, ten percent of that is suggested to go to the florals and ten for the photography. She’ll also give you tips on how to come up with a budget that works for the kind of event you want.